Government agencies issue a variety of ID-related cards, such as entitlement cards, health and other benefit cards, birth certificates, hunting and fishing licenses, boating licenses, state driver’s licenses, firearm registrations and more. IDSupershop carries ID card systems and high quality ID card printers with lamination that let you produce cost-effective government ID cards in a matter of minutes with your choice of personalization features including high-resolution photos, magnetic stripes, smart card chips, bar codes, logos, text, digitized signatures and tamper resistant topcoats. These data capture devices and visual elements enhance the functionality of ID cards, while also reducing the risk of tampering, counterfeiting and unauthorized use. Secure ID cards help protect government buildings, high-security facilities, and sensitive information ensuring that only authorized workers be allowed access. 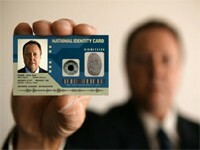 Government-issued ID cards and those used by federal employees often contain highly sensitive data; therefore, strong security is crucial both in their physical makeup as well as the way they function. Advancements in visual verification techniques include: holographic foil ID cards and over-laminates. In addition to adding visual security elements, ID card holograms considerably increase your ID cards’ protection against fraudulent duplication. Holographic foils can be embedded below the ID card surface and holographic over-laminates adhere to the card surface. Holograms can be standard, off-the-shelf designs, or custom created for the ultimate in security. IDSuperShop recognizes the importance of providing eco-friendly ID card printing products and we support governments looking to implement more environmentally-friendly solutions in their ID card printing applications.